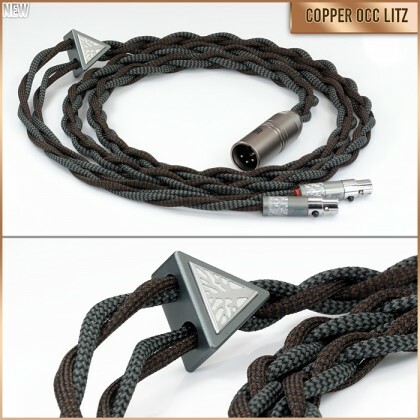 Truly what we feel is one copper occ litz headphone cable to rule them all. Currently on sale with both introductory discount and Black Friday until 11/30 when the event ends. 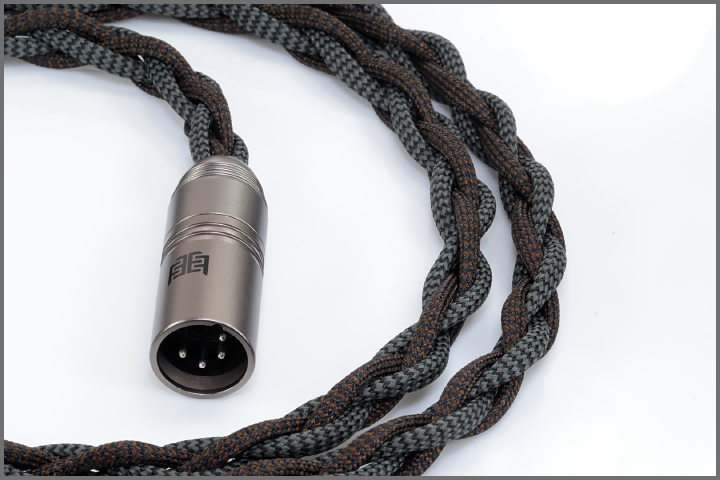 The design goal of the Volsund Series was to create the most engaging and dynamic occ litz copper headphone cable possible. Bringing an experience that is extremely emotive, allowing you to completely be immersed in the emotion of every track. Whether it is the slam and impact of a drum or the pluck of a bass guitar string we wanted the truest and most natural feeling from every single moment. This required a new and unique design approach, combining two different unique copper occ litz conductors. The first conductor utilizing our well known pure textile layered multi-core design, the second conductor comprising a new specially processed copper with TPU jacket. 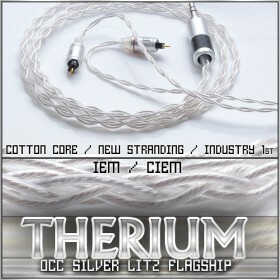 The combination of these two conductors along with our precise stranding has allowed us to deliver just that, a cable that can help get the listener closer to the music than ever before, and beyond any other copper occ litz headphone cable. 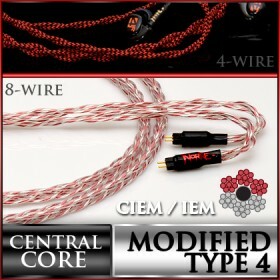 Volsund Series - 4-wire (4 x 21awg) - Pure copper occ litz - pure textile layered cotton multicore (8-core) & multi-conductor per polarity - tpu + pure cotton serve + ultra thin teflon wrap. Shown below is the Black&Dark Grey (herring bone) / Dark Brown&Black (herring bone) with gunmatal (raised inlay) splitter. The Volsund has a more painstaking assembly process. The primary reason for this is due to the fact that each 4-wire Volsund has 32 total cores. Each of these cores on every end must be carefully trimmed before dipping into our molten solder pots (note: using silver based solder). This results in having to carefully trim a total of 64 cores (both ends) for every single Volsund headphone cable produced. This represents just one aspect of the build. Each cable must also be sleeved manually and as mentioned tinned in solder pot before starting the actual soldering process to the connectors. Finally, if one desires, they can add one of our 100% in house crafted triangle wood splitters. 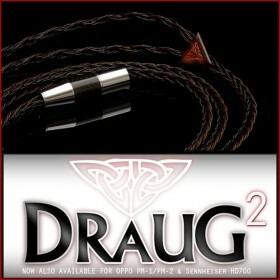 For those that purchase any of our large gauge silver occ litz full-size headphcables (Draug Silver or Silvergarde S3) the exclusive "flush" inlay option becomes available for your selection. This inlay is precisely formed via CNC process and merged with any desired deep recess splitter currently available (black,gunmetal,silver,dark gold, orange or slate grey). Currently available is the silver anodized flush inlay with cutout logo (shown below), stay tuned for more colors and options of this inlay in the near future. The next scheduled inlay to release is the "red" anodized model (~09/28/18). Note that the drop down selection does not list all of the splitters below, for example if you want the Orange with flush silver inlay, simply tell us in the checkout notes. We would then confirm with you in email after your order has been placed, no additional costs. All splitters apart from exotic wood splitters are free to add on the Silvergarde S3. We are proud to say that our outer textile sleeves are 100% made in the USA to the highest quality and standard. Our sleeves are not simply something you can find off the shelf and it has its own extremly nice quality and feel. The factory we are using in the USA only adhere to the highest standard of quality given their long list of other prestigious clientelle. Not only possessing a top feel, our sleeves are very durable with a lower level of mechanical noise (microphonics). 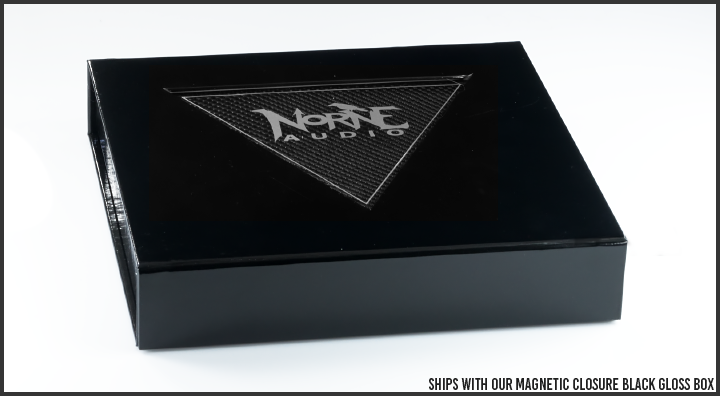 Every Volsund Series headphone cable ships with our Black magnetic closure bags with retail windowed box.